Demonstrate one of the toughest math concepts! Segmented timeline helps students understand that elapsed time can begin in the PM and end in the AM. Removable guide numbers support differentiation. 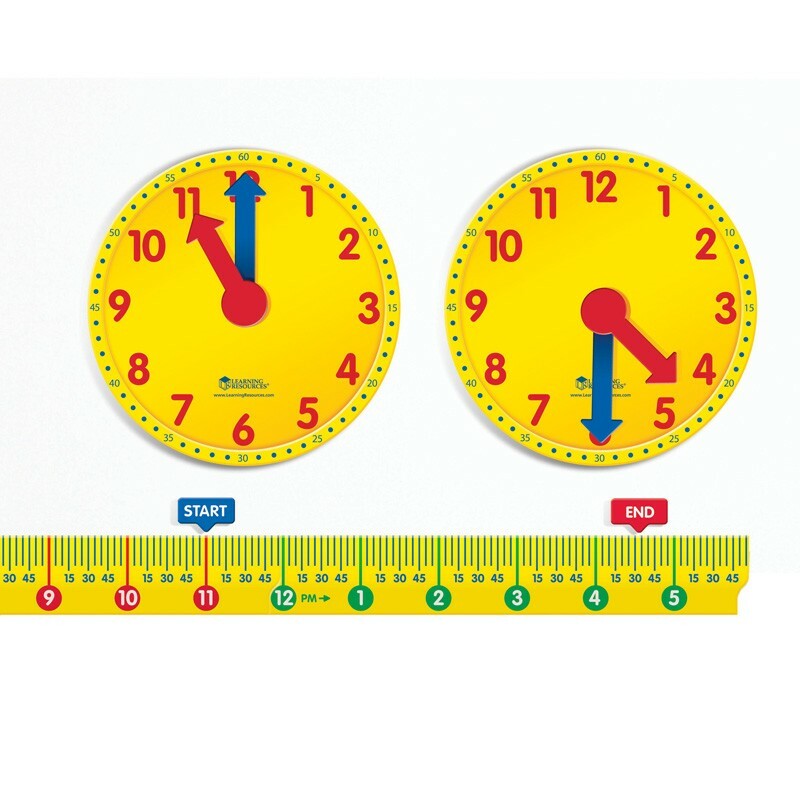 Includes 2 magnetic clocks with hands, 24-hour timeline (4 segments), start and end time arrows, and removable guide numbers. Clocks measure 10". Grade 2+.